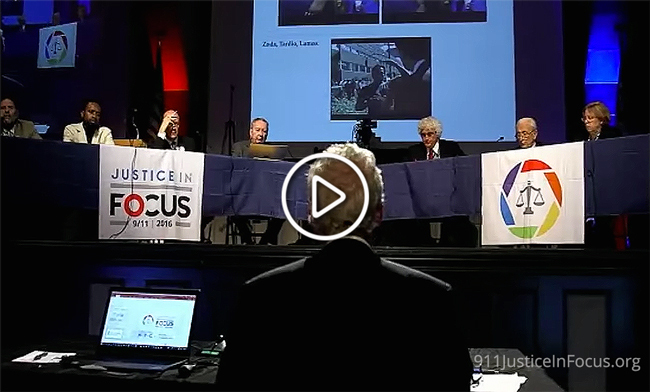 Hundreds of concerned citizens — joined by several hundred more via livestream — gathered in the historic Great Hall of Cooper Union to mark the 15th Anniversary of 9/11 at the landmark Justice In Focus symposium this past weekend. Led by renowned attorneys, technical experts, scholars, and some of the movement’s most inspiring figures, we charted a path toward obtaining justice for the attacks that killed nearly 3,000 innocent victims and that continue to serve as a pretext for the Global War on Terrorism. The conference showcased some 16 hours of rousing speeches, penetrating presentations, piercing testimony from experts and scholars, and thought-provoking discussions concerning how to effectively prosecute the crimes of 9/11. Legal luminaries Ferdinando Imposimato, Daniel Sheehan, and William Pepper shared lessons from their successful — and sometimes unsuccessful — attempts to prosecute the worst state crimes against democracy of the 20th century. The recently formed Lawyers’ Committee for 9/11 Inquiry, joined by Sheehan and Imposimato, assessed the evidence presented and evaluated the viability of various legal strategies. 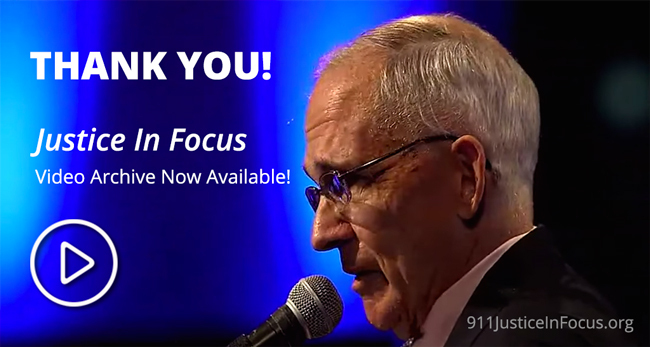 Attendees, participants, and organizers alike came away with renewed energy for and focus on finally bringing to justice those who perpetrated the 9/11 attacks — as well as hope for dramatically changing our world as a result of that process. At the fifteen-year mark since that fateful day, 9/11 Justice has come into focus. Watch every minute of this history-making symposium by making a suggested donation of $10 to access the complete video archive (though any amount is welcome). Your donation will help us recoup the cost of mounting this extraordinary event. Those who donated to the livestream already have access to the archive, though you are welcome to make a second donation if you enjoyed the livestream experience.